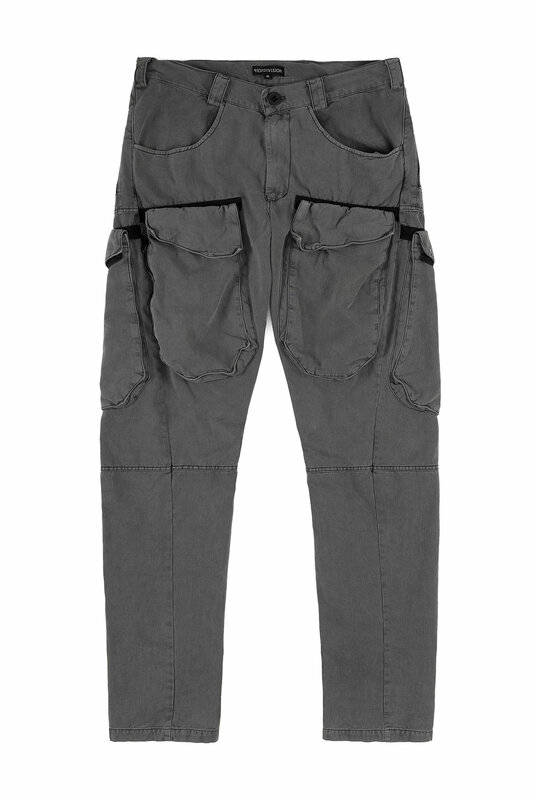 Cargo trousers are made of 100% cotton fabric dyed with the method of dyeing ready-made garments. The silhouette is medium narrow. 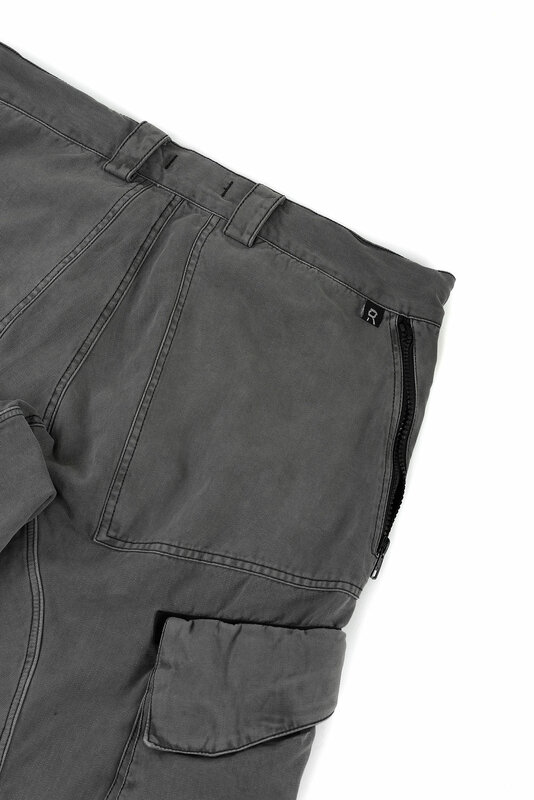 Two patched pockets on the front and two patched pockets on the back sides of trouser-leg. Pockets are made in the form of an envelope, the valve closes a part of the pocket when folded and thus everything that lies inside does not drop out under any extreme situations. Pockets are fixed with Velcro ALPHA. 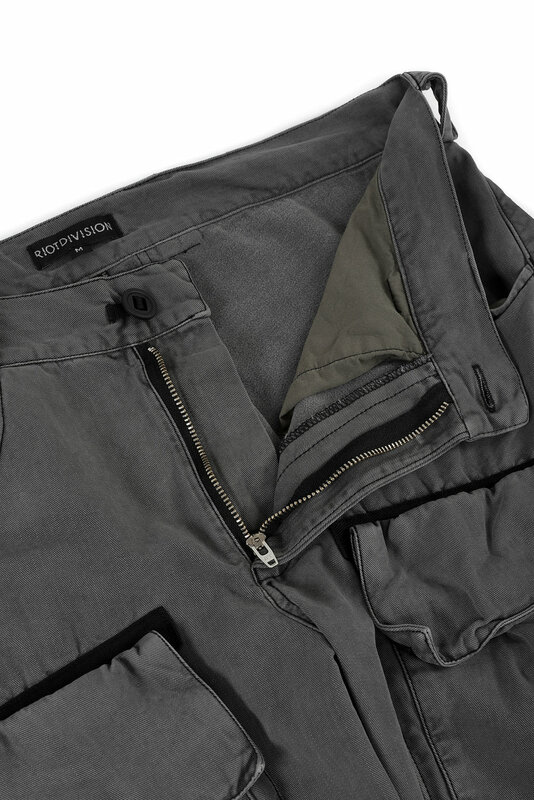 Back side: pockets with YKK zippers.